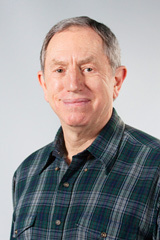 Jack has been a full-time faculty member at Mt. Hood Community College since the fall of 1990. His first eight years he was the Coordinator/Instructor for the Food Science Technology program teaching mainly students from Central America and the Caribbean in Quality Control techniques. These students were exchange students with the CASS program and after receiving training returned to their countries to use their education to enhance the food quality. The Food Science program ended in 1997 and since then Jack has been teaching several courses within the Science Division. Currently, he teaches “Introduction to Biology” (Bi 101 & 102), “Biology for Allied Health” (Bi 112), and “Nutrition” (FN 225). I am also the Department Chair of the Life Science Division. He has been teaching the online Nutrition class at Columbia Gorge Community College (CGCC) since Spring term of 2009. Before his academic career, he spent many years working in the food industry in Quality Control and also in the health care field as a Dietitian. He actually met his wife when he was working at The Dalles Cherry Growers. Jack has also worked as a Dietitian at Mid-Columbia Medical Center and Providence Hood River Memorial Hospital. In looking back at his professional experiences, Jack has said that nothing has prepared him more for teaching than actually experiencing the non-academic working world. Not only has this given him real world experience to bring to the classroom, but also empathy for the family oriented/working student. He has found the online format to be challenging since he is an “old school” educator, but he believes that this means of education will meet educational needs for many who could not get a college education if it was not available.